With the rugged Matusadona Mountains as your backdrop, Lake Kariba provides its visitors with shimmering waters and a vibrant ecology. Known as one of the world’s greatest man-made lakes, its shoreline boasts modern safari lodges offering the chance to take in their surroundings either by foot or car. 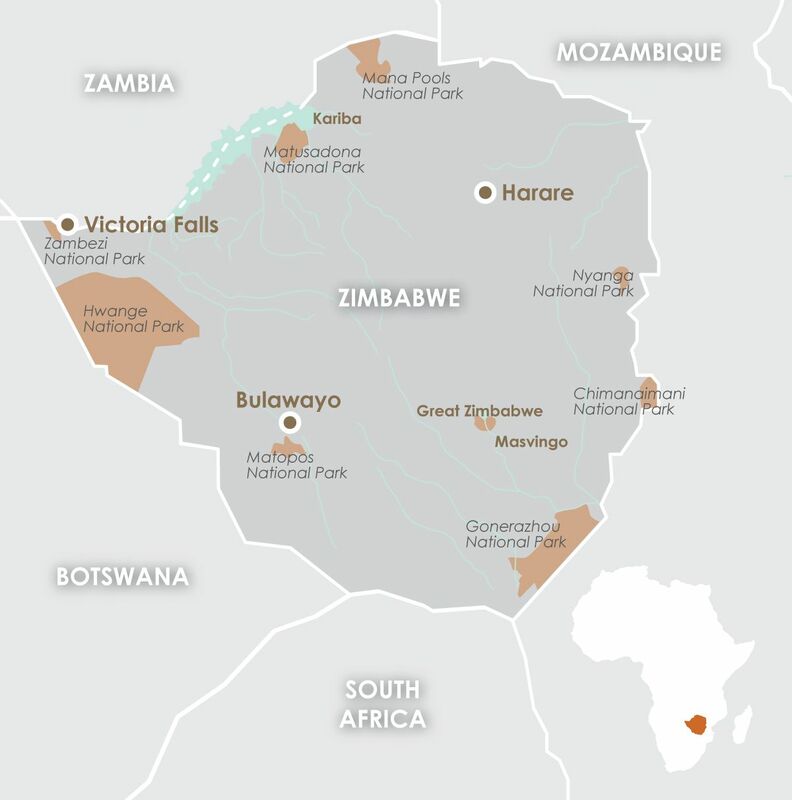 The valleys prolific game is concentrated on its islands and southern shore where the Matusadona National Park has been created. Herds of elephants, buffalo and zebra come to the shore in search of drinking water. The big five can also be spotted taking advantage of the water source, as well as a healthy population of antelopes that bring out the big cats and other predatory animals. The walking safaris are a source of constant excitement, due to the uneven terrains and the huge concentration of African lions wondering its paths. If the nail biting safari experience is not for you, take a boat cruise along the river or a canoe trip that allows one to explore all the inlets and creeks along the lake. The best time to float along is the twilight period between sunset and full moon, allowing its passengers to take in the magical atmosphere that surrounds them. At sunset Lake Kariba, with its characteristic silhouettes of dead trees, is a photographer’s delight. The vast lake offers guests the chance to water ski, sail or just bask in the sun whilst sipping on a glass of chilled white wine. For the fishing enthusiast, the lake provides some of the best tiger fishing facilities in the world, with a catch almost guaranteed even for the most amateur of enthusiasts. As odd as it may seem, the dry winter months are the best time to visit the lake and the surrounding Matusadona National Park and Mountains. With the average temperature of 25 degrees Celsius during the day, the warm winters nights are bewitching. With summer temperatures reaching 38 degrees Celsius daily, November to February tend to be extremely hot and wet. Lake Kariba is the perfect holiday location in the bush. Highlights include floating along the lake in a boathouse or canoe or lie on its shore banks and take in your incredible sightings where both bird and game watching is encouraged and almost unavoidable. If an active afternoon is what you are after, the lake is famous for its Bream and Tiger Fish populations. They are best caught during the summer months. Even though the lake and its surroundings are still developing, Kariba is a great pit stop to catch your breath and regain your strength before your next adventure begins.